Bringing a new life into the world is an event like no other, and at My 1st Years we offer you the chance to mark this occasion with a uniquely personal gift. Whether you’re looking for a classic teddy bear, a warm knitted blanket or their first pair of high top trainers, our individual category pages allow you to shop quickly and effortlessly for that perfect newborn present. The My 1st Years team stand apart in our personalisation expertise, which we have perfected over the course of several years. 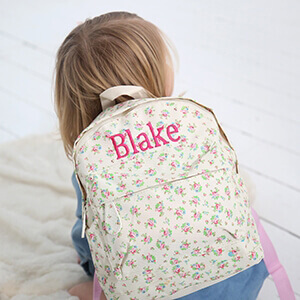 Our carefully selected range comes with the option of being embroidered, flocked, printed or engraved with a special someone’s name or customised message – a service we offer as complimentary because we believe each and every child deserves a one-of-a-kind memento which can become part of a treasured memory.